“Speed Racer” arrived in theaters Friday with the highest of expectations. The early May summer film was subsequently slammed by critics. How did it fare? For the second straight week, “Iron Man” finished atop the box office and basically answered the question of the fate of “Speed Racer.” To “Iron Man’s” $50 million, “Speed Racer” could only muster $20 million. Not a good debut for anytime of the year, much less the pre-summer hype of early May. 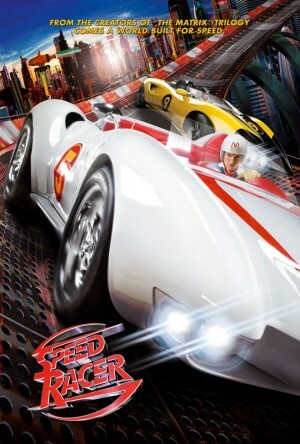 Based on a highly successful animated series, “Speed Racer” has a built a manic following rivaling some of the other cartoon-to-screen features that have been successful. Last summer’s “Transformers” proved that point. The Wachowski Brothers may be in trouble. As the “Matrix” creators hyped themselves as being the force behind “Speed Racer,” perhaps audiences remembered those two terrible sequels and stayed away from their latest. Speed Racer cost $120 million to make and is highly unlikely the film will recoup that in theatrical release alone. Even with the DVD release in a few months, this film may go down as one of the Hollywood biggest bombs. It already has the distinction of receiving the worth average review for a film since the dreadful “Evan Almighty” of last summer.